I am often asked what is the hardest part of being a Pastor. There are many challenges to the job and over the years I have gotten better at getting used to some of them while others have continued to trouble me. This is one that I am overly acquainted with in terms of engaging it frequently but yet it continues to be quite challenging. It is very hard to watch those who were once contacted to the Lord drift from Him. It does not get easier to watch those who at least appeared and many who were deeply connected to the Lord and even at a minimum church. The fade becomes evident as you engage a person’s instagram or twitter account. You bumped into someone at the grocery store and you are reminded of what once was. You hear a story about the pain a person is in because of a situation in their life and yet you know they do not want to hear from his or her “church” people. I want to be clear about why this is hard. I have learned you will give your best to people in ministry and they leave. That hurts, but it is ok. I am a big boy. I know that any church or person will fail people if they hang around long enough and I don’t expect to get the day in court every time to plead the case I would love to plead. I wish it was because I could say I know every person well and I my heart hurts relationally every time, but that is not true. But this is true. I believe a person being connected to God is the best thing for their life. I do believe that this connection to God results in a connection to the people of God in the form of a church of some kind and that is good. I do believe sin kills and whether I know a person close or not it hurts to watch people step into what I believe is destructive. I know that the as flawed as the people of God are and as messed up as the institutional church, that prioritizing the practice of attending corporate worship services is a good thing. And I know that whenever I see people walk away either on purpose or on accident , quickly or slowly, to sin or to what seems ok for the suburban life, and so on – it hurts and it is hard to watch. Not because I take it personal, but because even amidst my sin and selfishness and agendas, I love people and want them to connect with the living God. So this Christmas, there are a bunch of churches near wherever you live whoever you are. If you have drifted over time away from the Lord and you are not even sure how, or you ran as fast as you could away from the church of Jesus for whatever reason, or you find yourself in pain, regret and behavioral patterns you think God would never forgive, or you are just confused by what you grew up with and you walked away to find yourself for a reason, or you fill in the blank – come home. Come back to Jesus this Christmas. Or maybe for the first time, come to Jesus. It may be hard to move back in that direction or take the first step or to give over you feel like people or institution will judge you or you have to move past your embarrassment because you knew you were wrong and let yourself drift or whatever, just come home. You won’t regret it! Our church has been spending a lot of time over the last month talking about where we are going as a church. The conversation has been an intense one as we think about what God has specifically for us as Grace Fellowship for the next 3-5 years. It has been really good and meaningful and I know I am excited about what this means for us a church family. But often the focus on our church, can make us forget about THE church. The church in the world that Jesus promised to build is so much larger than one local body, or even the local bodies in one country. It is good to put things in front of believers to remind ourselves of our God being the God of the nations and that His church is for every tribe and tongue. I love that my church is a part of a family of churches. A family of churches made up of believers from all around the world. I love that my spiritual tribe is bigger than just my local tribe: it is a global tribe. When I remember that God is at work in my spiritual family all over the world, my faith grows. It even helps me have more hope and passion for my local church when I consider it through the lens of the global church. One night before bedtime, I was reading my daughter a book. We had just finished the chapter, and I was moving to close the book when she quickly said, “let’s keep going! I want to know what happens next.” The story was so compelling that she wanted more. What would happen next? How would the story end? 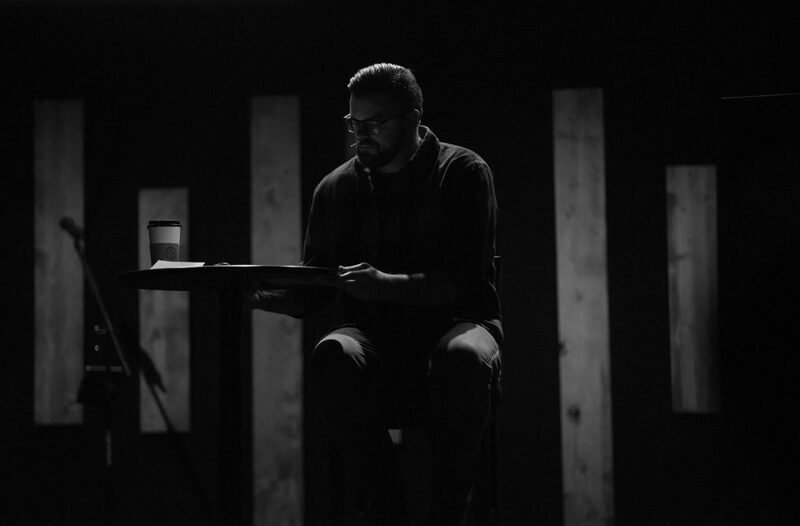 Grace Fellowship – this weekend, we get to “keep going,” and we get to see what happens next within the narrative of our church and what God has in store for us. It’s clear – He’s not done, and if He’s not done, then we’re not done. Our church exists to help people live Jesus-centered lives, and the way that we do this is to help people Meet, Follow, and Share Jesus. And while this might sound like a fancy tagline, I’ve spent the last 13 years of my life, as your Pastor, seeing just this. I’ve seen hundreds of people, adults and students, who have been led to Christ. I’ve seen marriages redeemed and families saved. I’ve seen hundreds of volunteers give up their time and serve our Grace community one weekend after another, even fly across the world to share Jesus and provide much needed care and compassion. I’ve seen Grace outgrow 2 buildings. In fact, on our first weekend at the Pickerington campus, we had already outgrown the building before the first service started! I’ve seen Grace Fellowship build a reputation within our communities where, if we left, people would know it (not just because of the traffic). Just last weekend, a couple thousand of us came together to have a big party and celebrate being Grace Fellowship. This weekend, we get to turn the page. We get to begin having conversations about the adventure God is going to take us on from our current “here” to the “there” we believe we are called to. If you call Grace home, I cannot stress this enough…please get here, and not just this weekend, but for all 4 weeks. We have 8 services across 3 locations…I have a feeling one of those could work for you. Not all messages and sermon series are created equal, and this one is critical to our church story. Let’s keep the momentum rolling Grace Fellowship, and let’s see what God has in store for us. Let’s Go! Not long ago, my family and I were taking a fairly long trip in the minivan. Given the length of the trip, the kids wanted to watch a movie. So we turned it on and distributed the headphones for the sound system that go with the DVD player. But with four kids and only two sets of headphones, this meant that the sound was going to be heard throughout the van. However, the van does have a feature that allows you to have the movie sound on in the back and then the radio or some other source for music in the front. So we turned on this feature with the hope that I could try and avoid listening to the dialogue of the movie (yes I know the dialogue of Trolls is great art, but I was not up for that kind of depth in my soul). So now we (my wife and I) are listening to music in the front seat, and the kids are listening to Trolls in the backseat. The reality is that I could hear both at the same time pretty clearly. It became an interesting exercise. I wanted to amplify the sound of the music in the front while decreasing the sound of the movie in my head. It took work, but I was able to do it. Over some of the miles, I got to the point where I was able to lock in to what I wanted to hear and ignore what I did not. At this point, you may be saying, “So what? What are you trying to get at Keith?” My point is that I had the ability to choose what noise I heard. I had the ability to amplify certain messaging while turning down other messaging. And here is the thing – you have this ability too. You get to pick the noise that you listen to, so choose wisely. I think that so much of what we do and what we become is built on what we hear. The messages that we allow in, or dwell on, or keep out make a huge difference. Consider how different things would be if you heard and focused on true things, the right things, optimistic things, Godly things. Imagine if you saw yourself the way that God sees you on all fronts, and you heard all that He offers and provides in light of all those truths. Amidst all the messages coming at you every day, do the hard work of focusing in on hearing what you really want, and need, and should be hearing. Pick the noise you listen to on purpose and with discipline. Many of us grew up in homes where on Easter, Christmas, Thanksgiving and maybe a special gathering or two, we would break out the nice china. You know the dishes that sat all year in the hutch in the dining room. You could not run through that part of the house or those nice, supposedly expensive, fancy dishes may get broken. You did not use them in the day to day of your life. You kind of forgot they were there except when you got yelled at for almost ruining the plates, or when it was a special day the demanded the need to get the china out. On the other hand, many of us have that coffee mug. You know the mug that sits in the cup holder of your Civic or F150. The mug that, if you are honest, is actually pretty gross. It is stained and kind of crusty. But here is the thing, you use it every day. I mean every day. After all, you depend on it. You take it from the car to the kitchen each night so the next morning you can fill it with the sweet nectar that is java so you can carry out your day. Now let me ask you a question…if you consider yourself a person of faith, especially if you would say a Christian, a disciple of Jesus, which better describes the way you interact your faith: the fine china or the coffee mug? Do you function as though faith is more like an heirloom that you pull out only on special occasions. Those occasions may be crisis, trials, pain or maybe they are holidays or special events. But the truth is, you only bring your faith out in unique moments and then otherwise you just keep it at a distance so nothing gets broken or confusing about it. OR…is your faith like your coffee mug? You live by it every day. It has been tested, roughed up, but it has proven faithful. It is a part of your daily life, and it is something that affects your day to day. Without it you would be lost so to speak. In the end, I think one of these ways of living is really a life of faith while the other is more like being superstitious or depending on a genie. I think there is something here for those of us who call ourselves people of faith to consider. I was playing golf a couple weeks ago. I was teeing off on a par 5. I swung and let it rip. The ball took off and was heading about 200 hundred yards straight, and then it turned on its blinker and started heading right. (This is not abnormal for me when teeing off, although I am playing better these days. I digress…sorry). I then notice the ball is heading for another golfer and his cart. I yell, FOUR! Homeboy does not even move. The ball drills the cart. I think, well this is going to be awesome when I drive up and say “sorry” as the idiot that just drilled his cart. I drive up and say tell him “my bad” and how “I am really sorry for being that guy.” He looks at me and says how it is not a big deal at all. And then he said this: “Better golf balls then bullets. I have been to war. This is not a big deal at all.” Let’s just say this was not in any way the response I was expecting. I said I appreciate his grace and then drove away. It got me thinking. You know what that guy had in that moment that is so powerful…perspective. Yes, an extreme perspective, but perspective none the less. Perspective that allowed him to process what could have bothered many in a way where it just rolled off his back. Perspective is a powerful thing. Perspective allows us to live life the way we want to really live it rather than the way we feel in the moment. Where am I emotionally off? Where am I relationally connecting to the wrong team? Where am I financially foolish? Where am I scheduling inappropriately? Where could I change to put me on the path to where I really want to be?